oooooooh! Lovely. I've headed south for the winter and haven't gotten good exposure to snow yet this year. So pretty. And SLAMMIN' birdfeeders you've got there. love the birdies. They are my favorite. nicely done, i like the burn outs they go nice with the dramatic music. This reminds me of my Dad also. He used to have bird feeders hung from the fruit trees down the bottom of his garden. 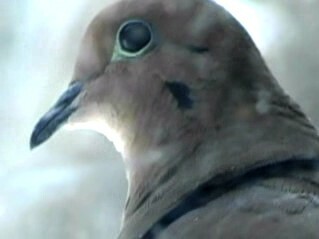 You've got some nice footage of the birds up close and it's fascinating seeing them roll a seed round in their mouth. Thanks for sharing.